How sweet it will be when this dazzling arrangement arrives at someone's door. Very vibrant. Very vivacious. And very, very pretty. 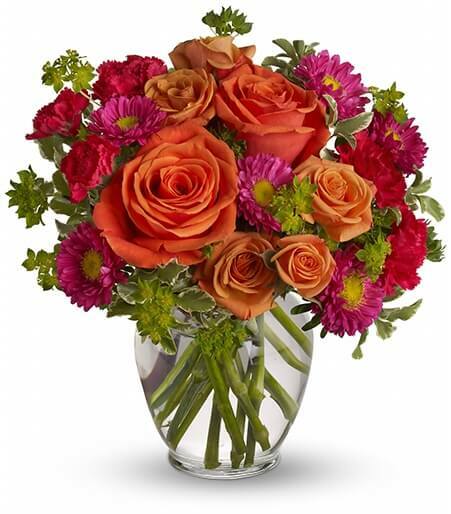 Light orange roses, orange spray roses, hot pink carnations and matsumoto asters, red miniature carnations and more are delivered in a lovely glass vase. Be sweet and send this one today!